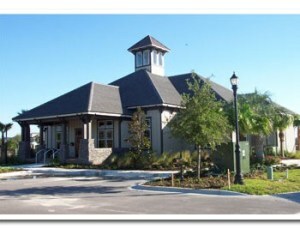 Park Place Community Development District (CDD) is a local, special purpose government entities authorized by Chapter 190 of the Florida Statutes as amended, and created by ordinance of Hillsborough County as an alternative method of planning, acquiring, operating and maintaining community-wide improvements in planned communities. A CDD provides the “solution” to Florida’s need to provide valuable community infrastructure generated by growth, ultimately without overburdening other governments and their taxpaying residents. Community Development Districts represent a major advancement in Florida’s effort to manage its growth effectively and efficiently. This allows a community to establish higher construction standards, meanwhile providing a long-term solution to the operation and maintenance of the community’s facilities. No parking shall be permitted on the roadways and rights-of-ways within the District except in designated parking areas. Vehicles parked in any area where parking is not permitted shall be subject to towing at the expense of the vehicle’s owner. No District parking spaces shall be used for accumulating or storing building materials, trash, etc. Vans with ladders, tools, etc. attached to the outside of the vehicle without being property secured and/or locked. Vehicles over 20 feet in length. Boats, RV’s or utility trailers. No parking shall be permitted in areas designated with yellow curbs or in handicapped parking spaces, unless authorized by permit. THE RESTRICTIONS LISTED HEREIN ARE IN ADDITION TO, AND EXCLUSIVE OF, VARIOUS STATE LAWS AND/OR COUNTY ORDINANCES AND/OR HOMEOWNERS ASSOCIATION STANDARDS GOVERNING PARKING WITHIN THE COMMUNITY. October 17, 2018 at 4:00 p.m.
November 14, 2018 at 4:00 p.m. - Rescheduled to November 28, 2018 at 4:30 p.m.
February 20, 2019 at 4:00 p.m.
March 20, 2019 at 4:00 p.m.
June 19, 2019 at 4:00 p.m.
July 17, 2019 at 4:00 p.m.
September 18, 2019 at 4:00 p.m.